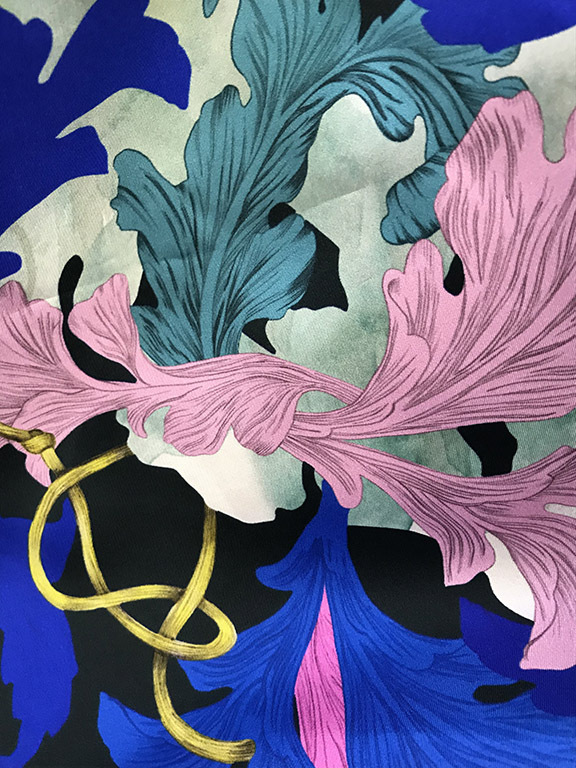 This colourful print on a dark blue background with golden accents; full of acanthus leafs and ropes. 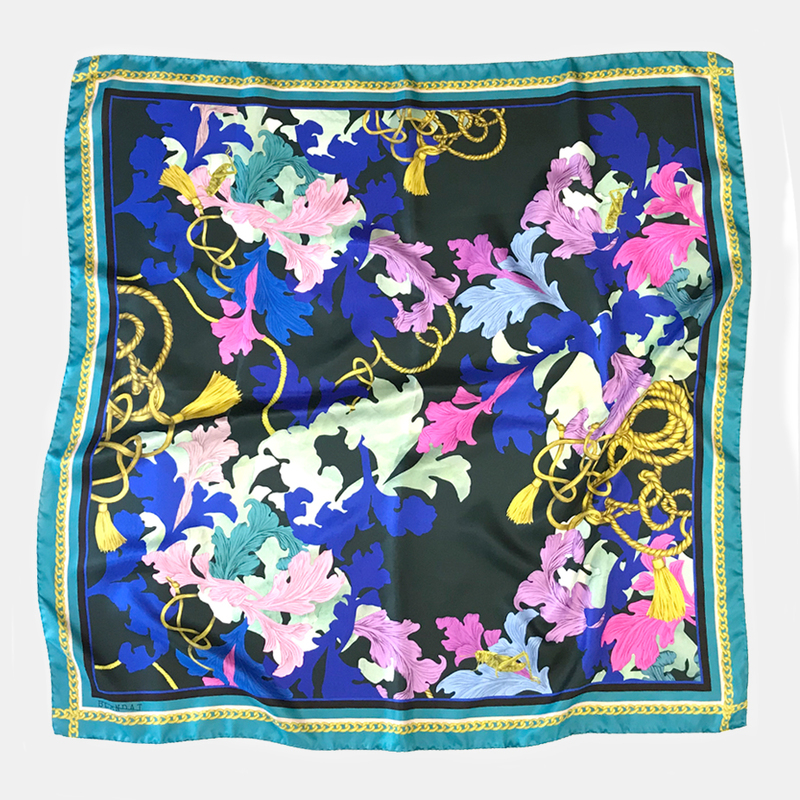 The scarf comes in a luxury BLANDAT gift box to keep your product in beautifull condition. 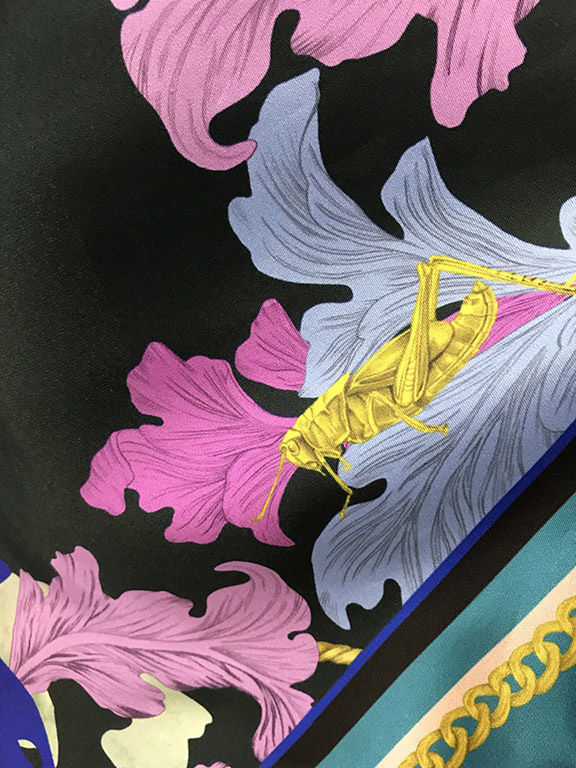 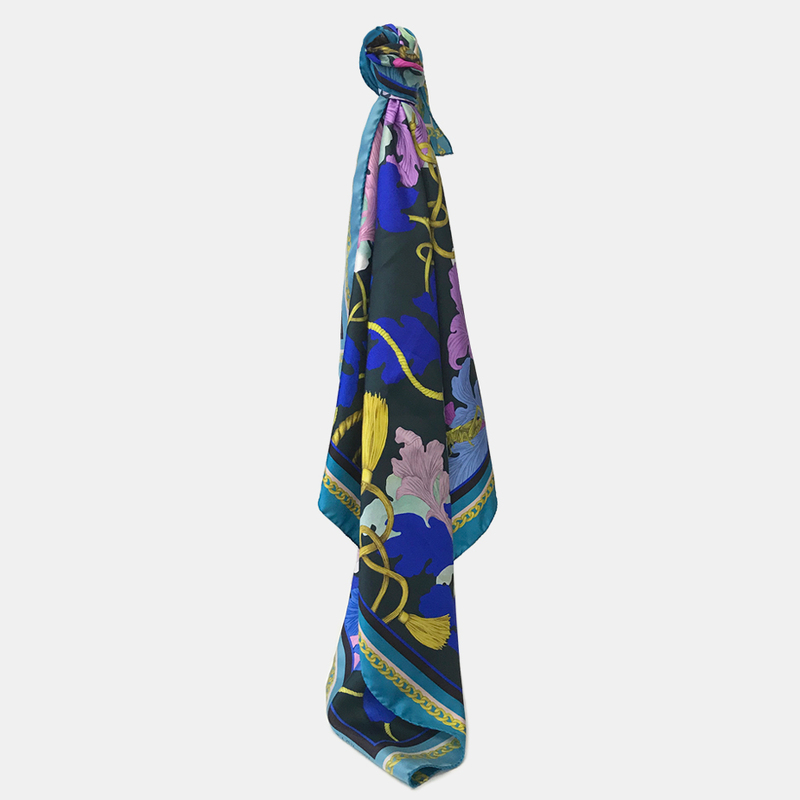 The Acanthus Scarf is printed on a soft Italian silk twill.